Sounds great doesn’t it and how atmospheric does that cover look? So now for your chance to win a copy. It’s UK and Ireland entrants only I’m afraid due to postage costs. You can enter up until midnight on Tuesday 25th April and I will contact the winners within 24 hours. Lesley Thomson is a Londoner. 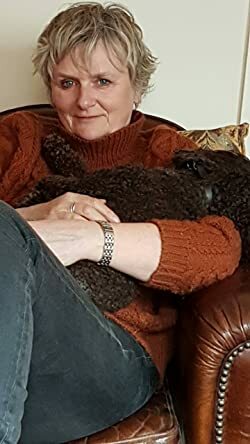 Her first crime novel A Kind of Vanishing won The People’s Book Prize in 2010. The Detective’s Daughter is a number one bestseller and Sainsbury’s ebook for 2014. Ghost Girl, the second in the The Detective’s Daughter series (2014) went to number one in Sainsbury’s e-chart and is another bestseller. The Detective’s Secret was published in 2015. The Runaway, an ebook short about Stella Darnell (the detective’s daughter) came out in July 2015 and the fourth in the series, The House with No Rooms in 2016. 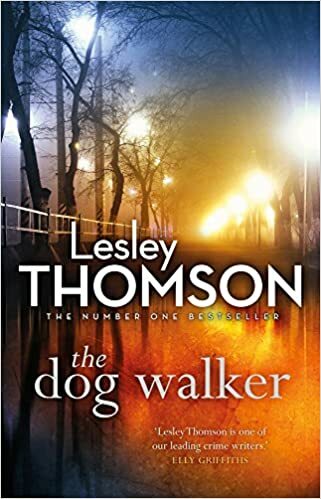 The Dogwalker, another case for Stella and Jack, came out in April 2017. I still have the first two of these to read. I’m sure I will like them, just need to get to them……. I have not read any of these books, so have just ordered my first one. Sounds like the kind of book I love. Adding to my wish list! Yes, it does sound fab, and what an eerie cover! Sounds like a excellent read. I love a good crime novel.